The day before the inauguration of SOFEX 2018, the Special Operations Forces Exhibition and Conference which first edition took place in 1996, the Middle East Special Operations Commanders met in Amman for the ninth edition of their conference. The event was inaugurated by Prince Faisal bin Hussein, the younger brother of King Abdulla II and gathered the top brass of the Jordan military as well as a number of high ranking officers in the Special Forces community. The subject of the 9th MESOC was “Hybrid Warfare in the Global Grey Zone – Ever Changing Operational Environment”. The keynote speech was given by Lt.Gen. Mahmoud Freihat. 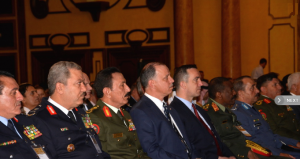 Chairman Joint Chiefs of Staff, Jordanian Armed Forces, who underlined how much the Grey Zone cannot be limited to military considerations as it is the outcome of complex political and economical uncertainties. In recent times the cyber domain was added to the equation, solutions being thus far from being only military and should be based on a unified approach. In this new context the military must take time to understand international laws, cyber problematic, and must address the nations’ youth, who are those who better understand the current world. The military needs those young people, who must be trained and given resources to overcome current challenges. Col. Sufian al Slaihat, Commander of King Abdullah II Special Forces Group, took over showing first the numbers of Jordanian SFs that were deployed in operations since the beginning of the new millennium, the total amounting to over 12,000, the only mission currently still active being that in Gaza, initiated in 2009 and now involving 190 operators. He underlined how terrorist tend to use the gap existing in democratic countries between politics and military procedures. 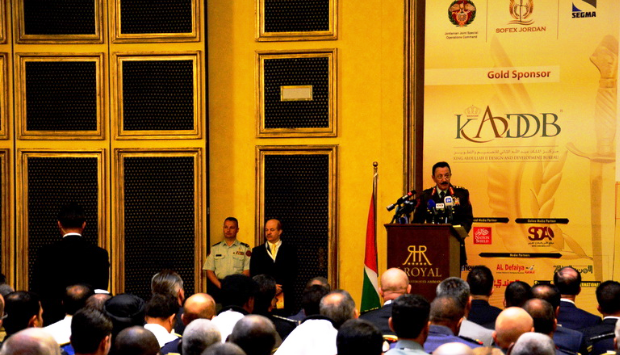 One of the most interesting statements was that of the importance of Imams in Jordanian Armed Forces: “they have a critical role, as they can get in touch with young people winning their minds and thus stopping the recruitment made by terrorist exploiting mosques and the internet.” They have also been involved in the training of the Afghan Police. Another key issue being training and high op-tempo, Jordanian Special Forces operators have now been freed from administrative tasks and can thus dedicate their whole time to operational matters. Gen. Raymond A. Thomas III, the Commander of the US Operations Command based in Tampa, Florida, warned about the very low barrier of entry that allows terrorist to acquire advanced technologies at low cost, among them communication systems and unmanned aerial systems (UAS). Another major issue is the speed of information around the globe, allowed by social media, which permits to terrorist organisations to operate in an unprecedented way. US SOCOM Commander thus considers that to enable the SOF operators community to achieve the mission the SOF must evolve, key points being TTP sharing, information exchange, personnel exchange and liaison elements. There is no point anymore to protect information for protecting technology, one of the main reasons that in the past imposed classification restrictions, as industry overtook governmental organisations in terms of technological advance. The challenge is to understand what should be openly available. US SOCOM established the All Partners Access Network (APAN) platform to overcome the problem. Beside information sharing, another key issue is building alliance and partnership. Gen. Thomas underlined that in Tampa there are 9 foreign liaison officers and 23 foreign SF personnel on exchange programmes, while six more foreign personnel are on exchange in SF components, the US SF community having 21 liaison officers around the world. As for interoperability, this is mandatory when sharing common missions, exercises being key events to verify it. 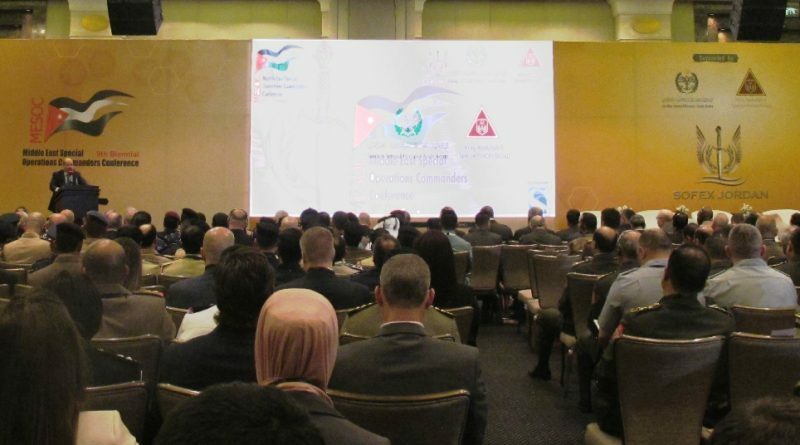 The SOCOM Commander mentioned the recent Eagle Lion exercise, which main topics were counterterrorism, maritime security and aviation operations; here US and Jordanian SF integrated their TTPs, the exercise also including training for embassy evacuation and chemical weapons. In an unclassified arena it was too much to expect detailed description of lessons learnt in recent operations by two speakers who did confront with terrorism, Staff Col. Mohammed Al Salmy, the Deputy Commander Special Operations Command of the UAE, and Gen. Taleb Al Kanani, Commander Joint Operations of Anti-Terrorism Force Iraq. Asked about differences in procedures between Hutis in Yemen and Al Qaeda and ISIS, Col. Al Salmy explained that the former were fighting in small groups, often supported by Presidential Republican Guards, their aim being of acquiring control over tactical areas in order to influence the progress of Yemeni forces. They thus were fighting in a scattered way. As For Al Qaeda, their tactics were mostly based on the use of vehicles packed with explosives, mostly used to bomb headquarter government facilities. 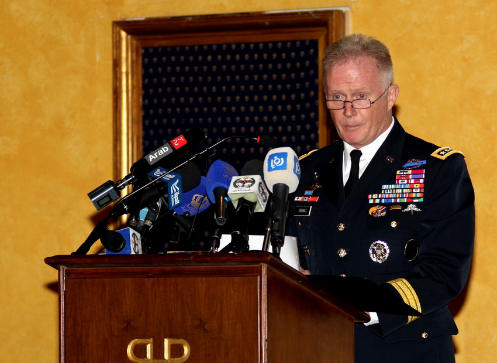 “In one operation they targeted mobile forces with four VBIEDs,” Col. Al Salmy explained. As for cooperation between Al Qaeda and Hutis, the UAE commander said that this took place only at very low levels, mostly in the southern part of the country. Coming to Iraq, Gen. Al Kanan explained that “the Islamic State was founded on 29 June 2014, however when we in February that same year announced that ISIS was being built many underestimated our warning, and four months later they got hold of Mosul.” The terror campaign carried out by ISIS with slaughter, terror and burn led to the fall of the Mosul neighbouring provinces, was amplified by social media, which spread terror also far away, some Iraqi companies coming close to surrender in 2016 at the edge of Baghdad due to the fear generated by pictures seen on their mobiles. Continuing to descript more what the enemy did that what his forces did, Gen. Al Kanani underlined the difficulties generated by tunnels, very often short ones leading from one house to another, and by the use of civilians as human shields, which limited air strikes. “When ISIS was in control of one house, they gathered all civilian at the first floor, while their fighters occupied the second floor,” he explained, underlining also that ISIS fighters avoided as much as possible direct confrontation with Iraqi forces. 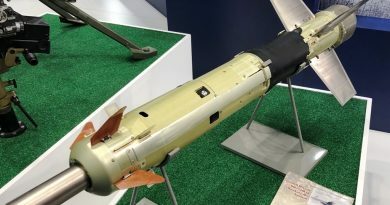 The use of an excess of chlorine to poison water, that of IED loaded with chlorine to generate yellow smoke in order to trigger psychological fear and oblige to activate procedures for chemical warfare, the capacity to hack networks sending false messages, the use of toy drones transformed in airborne IEDs using hand grenades as payloads, the capacity to recruit foreign fighters from over 120 countries, all those was acknowledged by Iraqi forces in the nine months it took to re-conquer Mosul. Knowing well the procedures of their adversaries when dealing with civilians, in some situations ISIS fighters disguised as women in order to avoid the Iraqi reaction. Taking the floor Brigadier General Timothy Bayliss, Chief of Staff Special Operations Command Australia, underlined first as very recent changes in the Australian Defence top brass led two Special Forces officer to become Chief of Defence and Chief of the Army, which shows well the importance acquired by the SF community in the military. His topic being battlespace situational awareness and sensors requirements for SFs, he underlined the need to improve situational awareness in order to acquired decisions superiority that allows increasing the speed of execution; with every single soldier and platform becoming a sensor, Big Data technologies must enter into play to allow data processing and dissemination. Architecture complexity, common standards, bandwidth and data security are the main challenges identified by Gen. Bayliss, who ended his speech remembering that at the heart of everything remains the SF operator, who is the best and best trained soldier, is cultural sensible, technology wise, intelligence wise and brave. 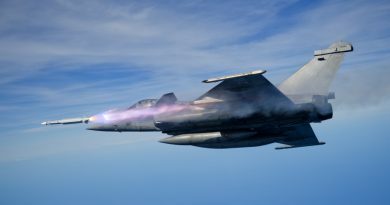 French Air Force Brigadier General Philippe Moralès, Deputy Commander of the French Special Operations Command, started his speech underlying that hybrid is not new as most conflicts have seen a combination of regular and irregular tactics. For future conflicts he foresees two main trends, the first being the fighting against violent terrorist organisations, while the second being the weakening of diplomacy and the decreasing influence of international bodies called to regulate conflicts. Among new challenges Gen. Moralès underlined that SFs have no more the monopoly on high tech, as well as that new conflicts in urban and semi-urban areas should be characterised by sporadic fights among normal life, clandestine SOF teams being thus in competition with other teams. He also foresees a merciless war in the cyber domain. For Special Forces this will mean first of all the ability to complement conventional units, as it s happening in Syria where freedom of movement is limited. 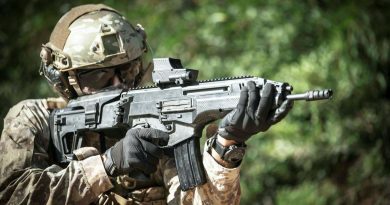 Special Forces will have to operate within a legal framework, as nothing justifies the breaking of laws, and will need to be able to adapt quickly to new situations, and to exploit their Military Assistance capabilities to improve the effectiveness of local allies. In perspective the Special Forces must become part of a global system that includes diplomacy as well as economy. 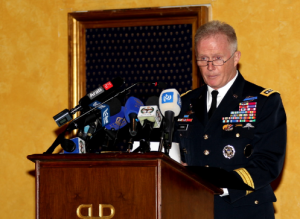 Dedicated to the often cited Cyber domain, the last session of the 2018 edition of the Middle East Special Operations Commanders Conference saw Lt.Gen. Erich Pfeffer, the Commander of the German Bundeswehr Joint Forces Operations Command, talking about the new cyber-espionage in Europe. He first explained how SOF can become a possible target, and how it is important to increase cyber awareness among operators. Soldiers use smart-phones 24/7, and hacking of such systems can thus compromise personal security, so they must recognise that they are potential targets. On the other hand SOF operators can also become part of the solution, as due to their skills they can be used to place access systems in enemy territory, allowing extracting information otherwise unavailable. Cyber and SOF counter different types of threats that have the same origin, so synergies must be found between SOF and cyber-warfighters to increase the effectiveness against cyber enemies. Two more speeches, by Mr. Rabbad Ayoub, a cyber security advisor, on Managing Resilience in an Era of Expanding Cyber Conflict, and a lecture on Terrorism and Radicalism in Southeast Asia by General Professor Muhammad Tito Karnavian, Chief Indonesian National Police, closed the event. 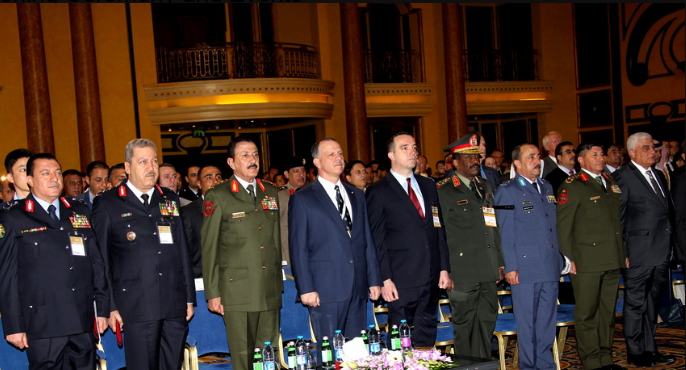 The nationalities of the speakers represented a minority of the Special Operations top brass present in Amman; apart from the topics that were dealt with during the speeches, the higher value of the 9th edition of the MESOC was to gather together SOF officers from many nations, sustaining that networking process that is key to cooperation in operations against common adversaries.